Art Detective aims to improve knowledge of the UK’s public art collection. 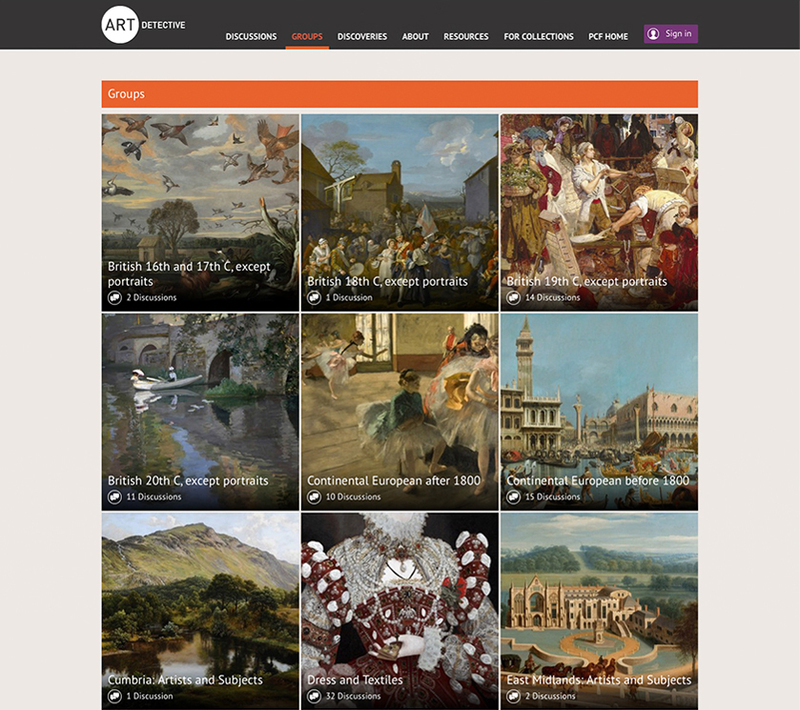 It is a free-to-use online network that connects public art collections with members of the public and providers of specialist knowledge. 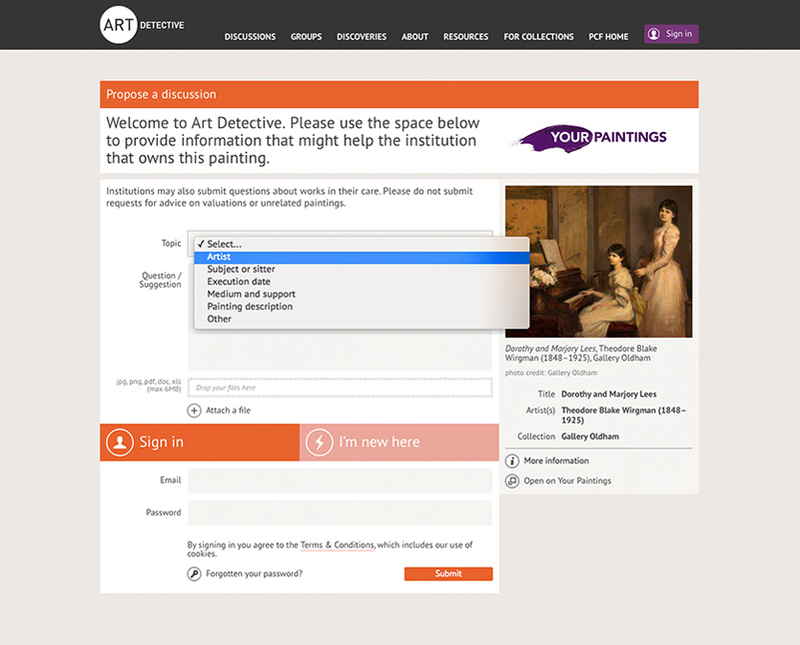 With Art Detective, anyone can help public art collections across the United Kingdom enhance painting information, uncovering attributions and solve mysteries – through public discussions. 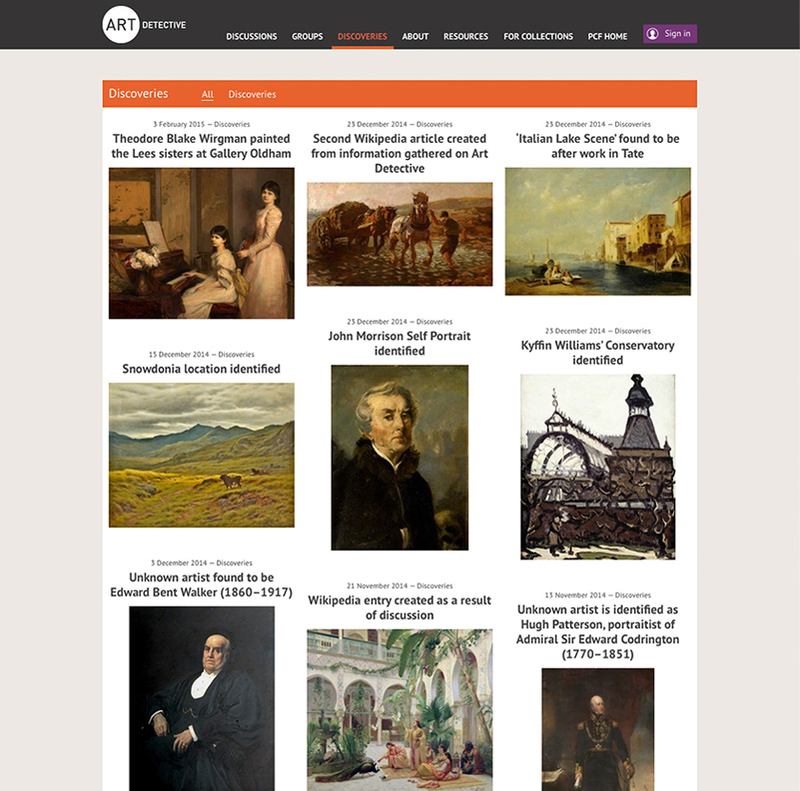 Launched in March 2014, Art Detective comprises a digital network built on top of the Public Catalogue Foundation’s (PCF) existing art object database. 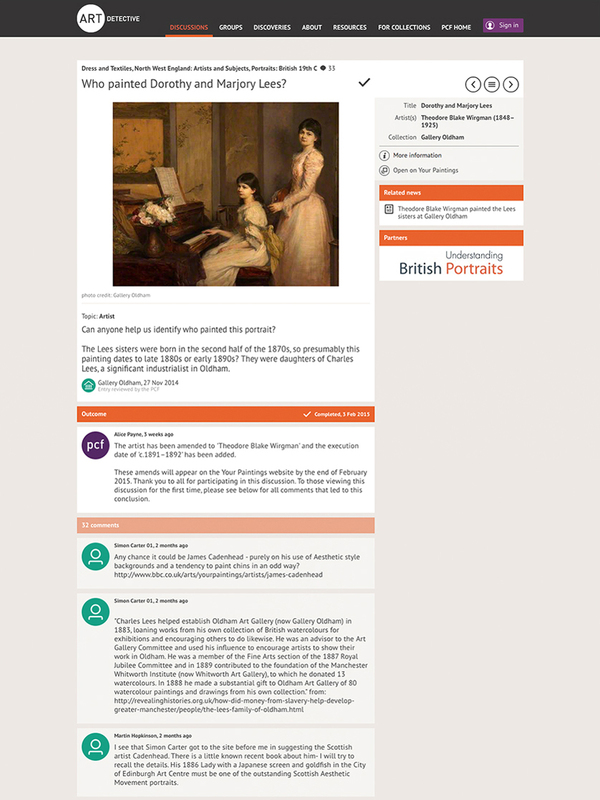 Art Detective is accessed through the Your Paintings website and the PCF website. Contributors include academics, the art trade, specialist curators, retired practitioners and informed members of the public. Anyone is able to follow the discussions and registered users are able to suggest a discussion, or comment on discussions. Significant improvements have been made to the UK’s public art collection since launching the website: so far over 100 discussions produced more than 40 discoveries. The aim is to engage people with specialist knowledge in a series of public discussions. Anyone, not only art historians, can participate and provide valuable clues. Art Detective is complementary to Tagger: in Tagger art history enthusiasts can contribute visible subjects to paintings, which are statistically reviewed and used to enhance the Your Paintings search options. Art Detective is about uncovering the invisible issues. It all starts with a question or a remark. People see a painting on Your Paintings and have a direct link to start a discussion. Discussions are evaluated by a panel of experts to ascertain their value and posted for public debate. Anyone can intervene and offer clues and proofs. Evidence of claims needs to be provided, with a different range of contributors checking the validity of statements: collections, art historians, etc. Discussions are divided into interest groups and show the level of activity. More active discussions are at the top. 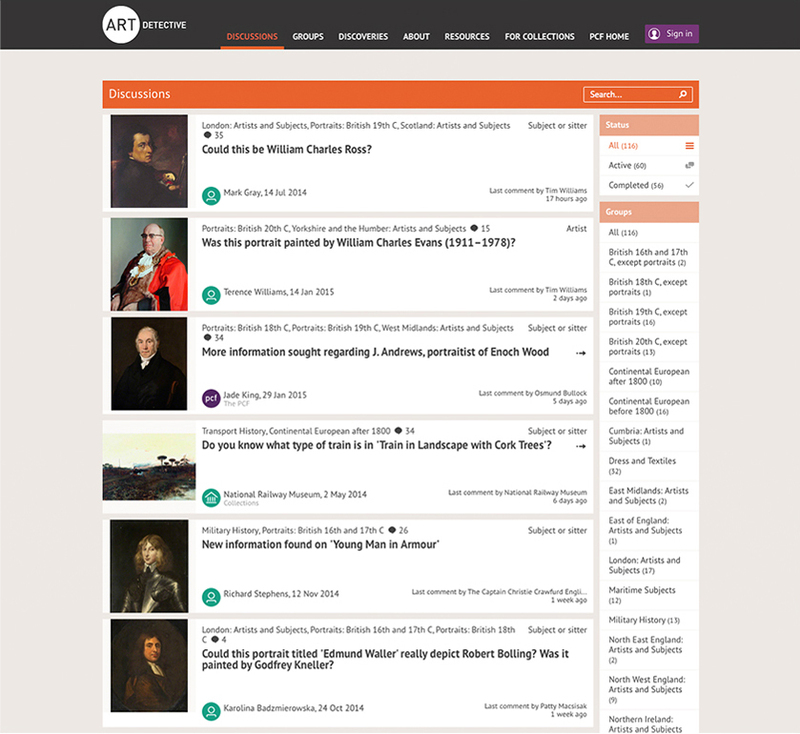 Art Detective is a personal experience: the website keeps track of comments posted by each user and help build their own profile, which providing tools to store and retrieve discussions that they find interesting. Art Detective works! Since the launch more than a hundred active discussions have been created from which more than fifty have been resolved, attributions have changed, people and places have been named and dates have been discovered, with many more in the pipeline. Reception from art collections and historians has been enthusiastic!